The Edu-Ponics farming tower is an outdoor hydroponics garden system aimed to educate the youth who work at the Community Gardens and provide an open-source community to both show an innovative urban greening method, and allow feedback to the community gardens to improve the garden. The Edu-Ponics farming tower has been built in materials that are cheap and easy to access. This makes it possible for the garden to extend, enhance, or add new features to the structure. The PVC pipes are easy to cut and fit together in any configuration imaginable. Even the Pump that we have provided is ready for this expansion, with a spare outlet. Making the tower out of simple materials enables the youth to work with it themselves and to see a creation that does not need to be intimidating. This could hopefully inspire the students to actively make changes in the design, thereby claiming ownership of the Edu-ponics tower. In a broader aspect the system should be more popular and the thoughts of Do-It-Yourself systems will hopefully spread through the garden community. The philosophies of open-source software is very applicable in this design. Open source software allows the user to utilize the community to make bug reports and suggestions to make improvements and fixes. The idea of making hardware open-source works in a similar way. The designs are transparent, in a way that lays out both the functions of the individual part and the possibilities of redesigning the structure. 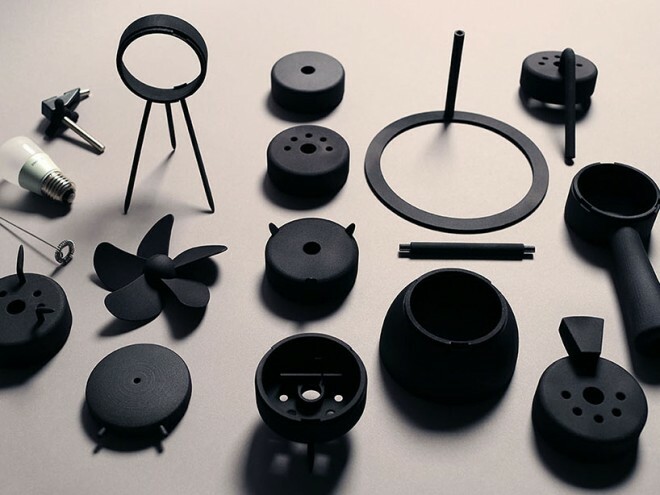 A good example of open-source design projects is Weilun Tsengs modularized household appliances. With these parts it should be easy to rebuild your hair blower into a fan or a shoe dryer. This picture is from Weilun Tsengs project of making modularized multipurpose household appliances. The Edu-Ponic tower should have the same possibilities. Sparking the imagination of what is possible. We provide a platform that encourages educational play and development. The internet provides a great opportunity to share information. With this project we hope to set up a website that will monitor the progress of the Edu-ponics system, as well as allow the community garden workers to publish blog posts on the website. The website will also allow the community members to post questions and suggestions to the Community Gardens. This will further allow the members of the community to connect with the Gardens; the Gardens can show the community the good work they are doing, and the community can extend the idea of urban greening past the gardens and into homes. Our Edu-Ponics project will be located at the Capital District Community Garden Produce Project site on 8th street in Troy. The community garden location on 8th street will bring awareness of our project not only to the staff of the gardens and students working there, but also those who visit the gardens. As the staff, students and visitors interact with Edu-Ponics it will initiate conversation, which will then spread further in the Troy Community. We are also creating a web page and blog for the students to enter blog posts about their interactions, thoughts, experiences, etc about our hydroponic system. The blog provides an opportunity to get the word out there and connect with others who are using similar gardening systems. Through the internet, gardeners from anywhere can have access to information on our project and use it to apply to their own gardening or converse with others about hydroponic systems. Our garden will measure the temperature of the garden, as well as other measures like pH, moisture, and light. We can make available our design, the readings from our sensors, and the success of the plants, which will both teach the students and show the community how different plants thrive under different circumstances.